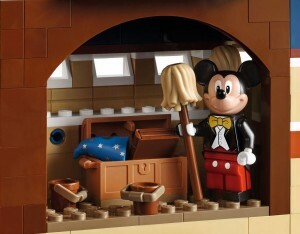 Lego has just unveiled the latest Disney masterpiece: the magic Disney Castle. 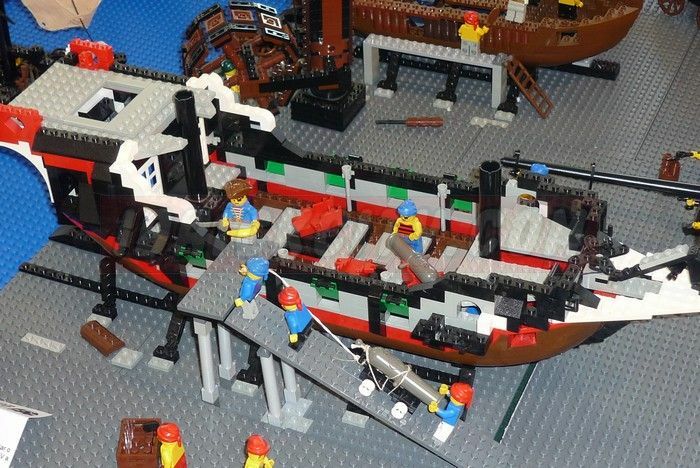 This awesome set is probably one of the biggest Lego sets of the last years, showing exactly four thousand and eighty pieces which will be absolutely an unforgettable moment in terms of beauty and building experience. Showing two distinct color schemes, mixing light brown in the front with a light brown in the tallest towers, the gigantic castle is an endless source of details and features to enjoy. The box contains also five Disney mini-figures (Mickey Mouse, Minnie Mouse, Donald Duck, Daisy Duck and Tinker Bell) but the other eighteen guys from the Disney series of collectable mini-figures will definitely be a good addition to the party! 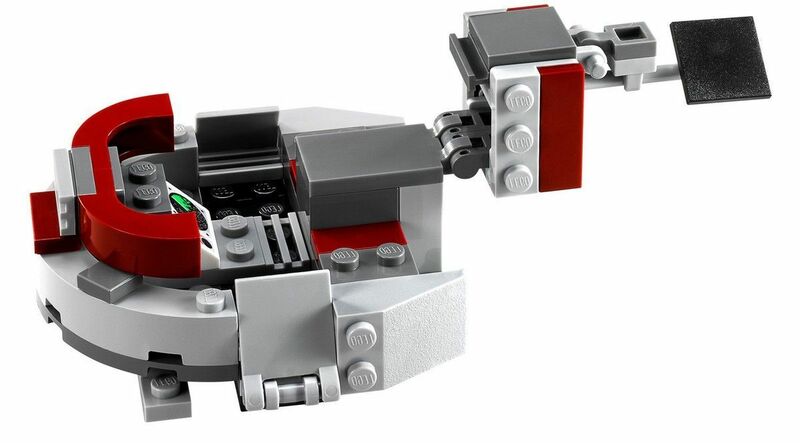 All the details are described in the press release which also announces September as a release date for the general audience and a price around the three hundred and fifty dollars which is definitely an interesting deal, attempting not only to the theme but most of all to the enormous piece count. Welcome to the magical Disney Castle! 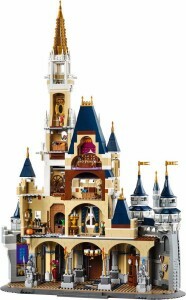 Bring the magical world of Disney to your home with The Disney Castle. This highly detailed LEGO® model with over 4,000 pieces offers a rewarding build and play experience, and comes with an array of exciting Disney-themed features and functions. The intricately detailed facade and towers replicate the iconic Walt Disney World® Resort Cinderella Castle, and each accessible castle room includes special features inspired by some of Disney’s greatest animated feature films, providing endless play possibilities with the included minifigures: Mickey Mouse, Minnie Mouse, Donald Duck, Daisy Duck and Tinker Bell, or other characters from your collection. 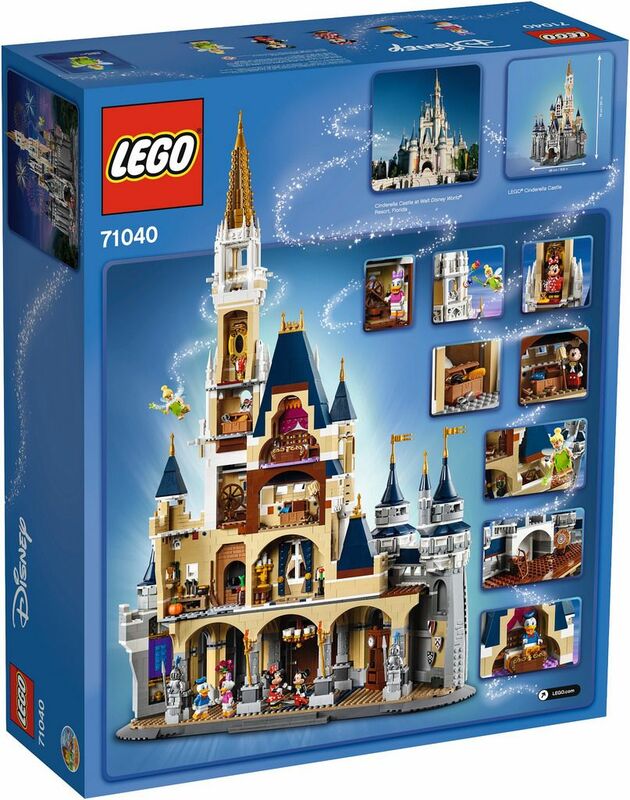 Includes 5 minifigures: Mickey Mouse with a tuxedo, Minnie Mouse with red dress, Donald Duck with classic outfit, Daisy Duck with pink skirt, lavender colored shoes and a bow, and Tinker Bell with wig element, skirt, wings and a magic wand. The Disney Castle features a detailed facade with a stone bridge, clock, wide arched entrance, ornate balconies, spired towers, plus a four-story main building and a five-story, golden-spired main tower, both containing rooms with assorted Disney-inspired features and elements. Castle main building first floor features the main hall with large arched doorway, mosaic floor tiling, ornate chandelier, suits of armor, shield-decorated walls, grandfather clock, floor-standing vase with buildable flower elements, magic carpet and a golden lamp. Castle main building second-floor room features buildable dark-blue curtains with curtain pole, ornate buildable candelabra and rose, and glass case elements. Castle main building third-floor room features a chest with book of spells, mop and bucket elements, and access to the main tower second-floor room. Castle main building fourth-floor bedroom features a detailed bed with decorative golden headboard elements. Main tower first-floor kitchen features a large redbrick-patterned stove, workbench, buildable broom and pumpkin, plus pots, pans and assorted kitchen and food elements. Main tower second-floor room includes a spinning wheel and access to the castle main building third-floor room. Main tower third-floor room features a chest containing brush, scissor and lock of black hair elements, plus a balcony with 2 stud shooters for a firework-display function. Main tower fourth-floor room features a golden mirror, plus red apple and glass vase elements. Main tower fifth-floor room features a window bench and an arched window. Also includes 2 frogs and a golden crown element. 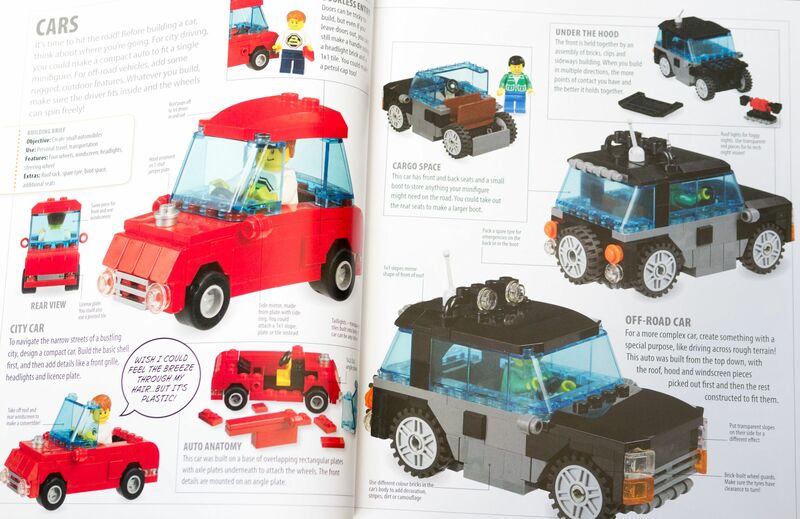 Remove part of the roof section to discover the glass slipper element and fairy-tale book element with printed cover. Launch the fireworks and let the magic begin! 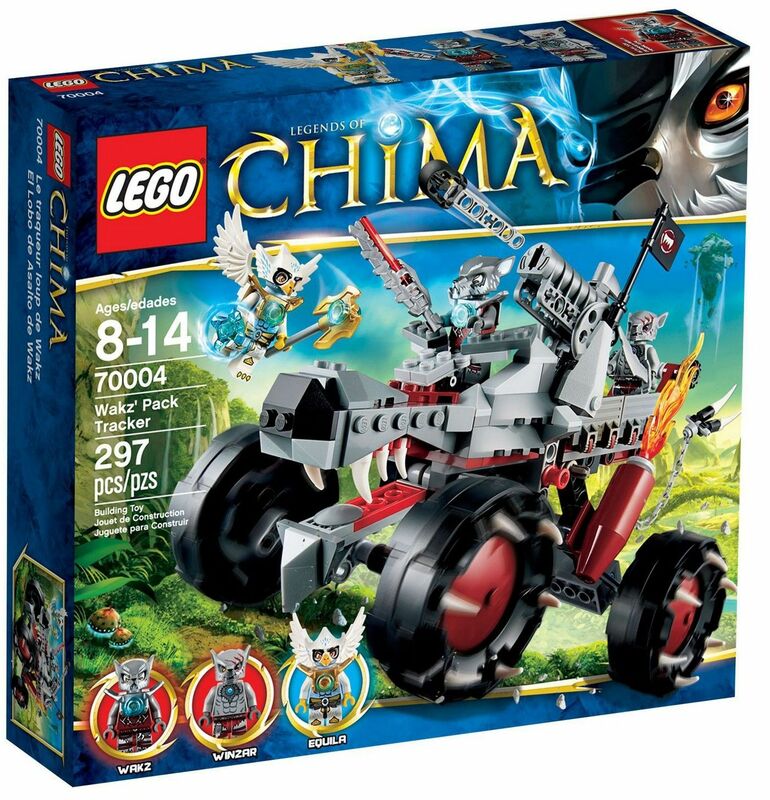 Combine with other LEGO® minifigure characters for endless adventures! 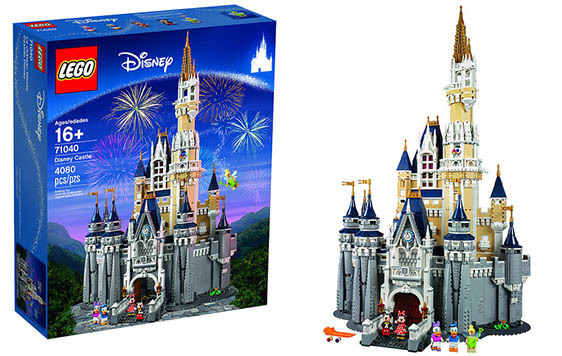 This set offers an age-appropriate building experience for ages 12 and over. 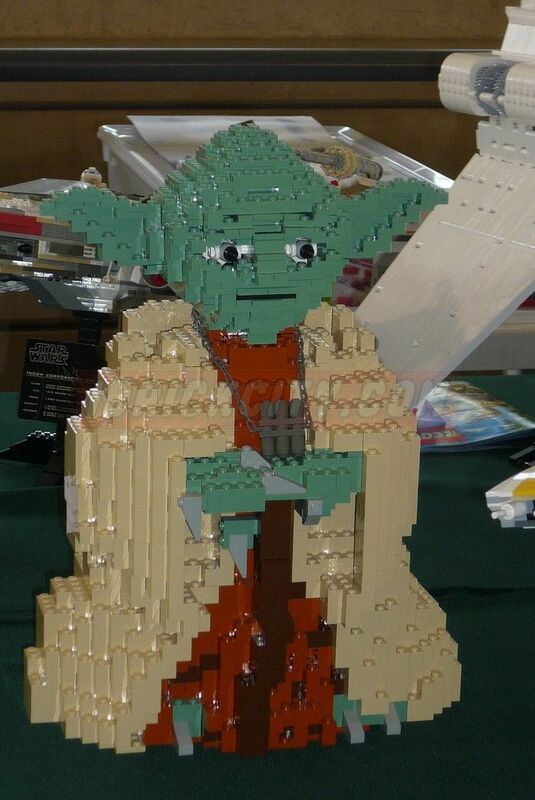 This set includes over 4,000 LEGO® pieces. 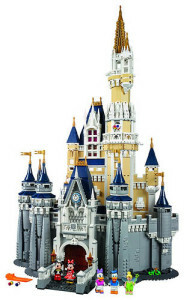 The Disney Castle measures over 29” (74cm) high, 17” (44cm) wide and 12” (31cm) deep. 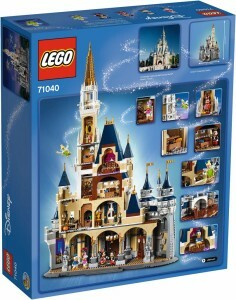 Lego Disney Cinderella Castle (71040) in September? Lego Collectable Series of Mini-figures – A Possible Disney Set List? This entry was posted in Disney Princess and tagged 71040, Castle by pedrolpais. Bookmark the permalink.